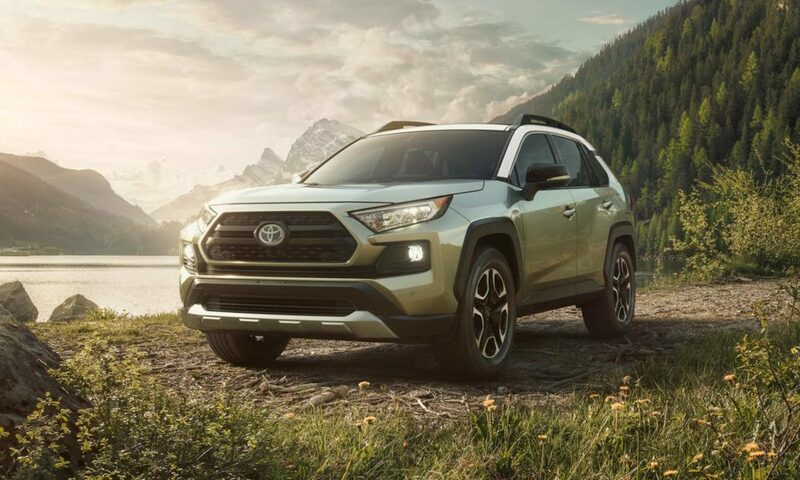 The 5th generation RAV4 made its global debut at the 2018 New York International Auto Show. A new sporty variant called XSE adds to the RAV4 Hybrid range. 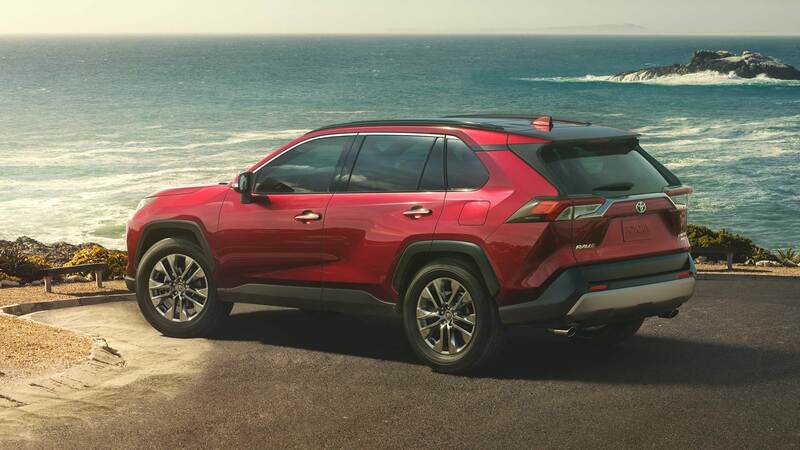 As with all the latest Toyota models, the new RAV4 is built on the TNGA platform. 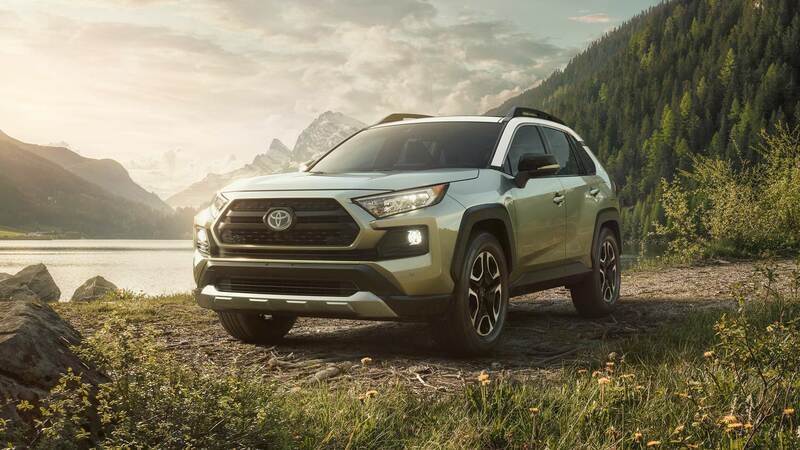 According to Toyota, the unibody chassis is 57 percent more rigid than the outgoing model. 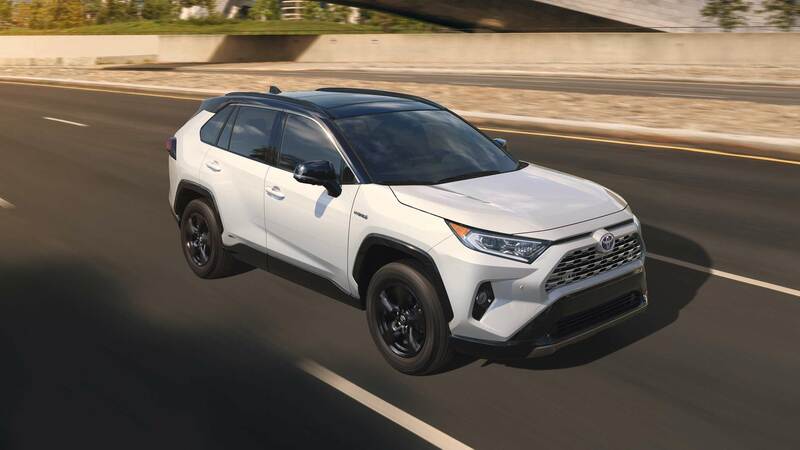 As for the dimensions, the wheelbase is up by 1.2 inch (105.9 inch), length has been cut by 0.2 inch (180.9 inch), width is up by 0.4 inch (73 inch) and height has been cut by 0.2 inch (67.1 inch with roof rails). 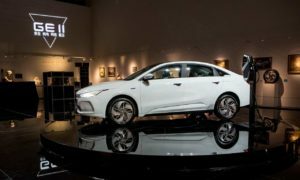 As you might have guessed it already, the design is a production version of the FT-AC concept that was unveiled at the 2017 LA Auto Show. 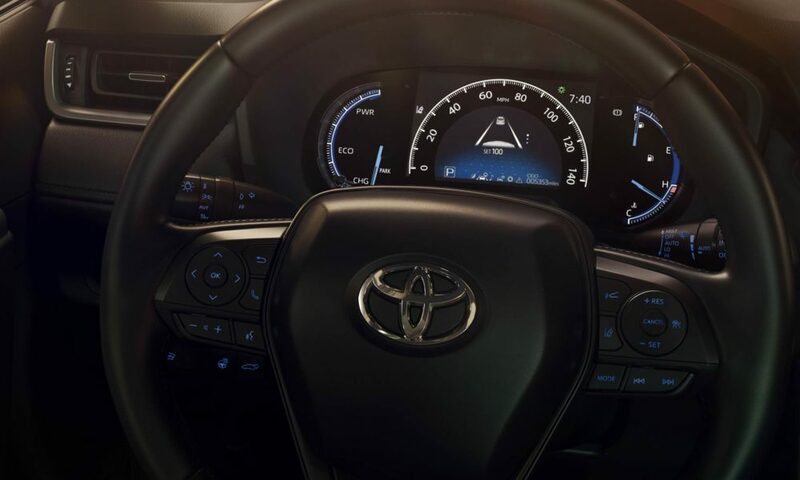 Exterior equipment includes projector-beam LED headlamps and 19-inch alloy wheels. 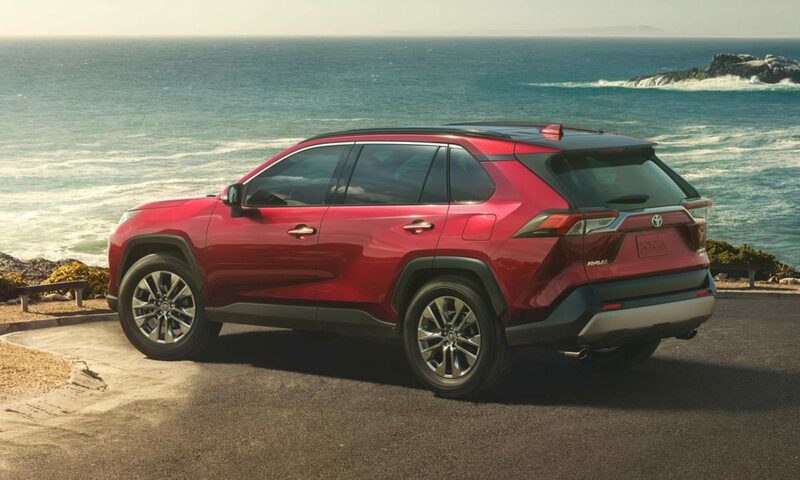 The XSE Hybrid gets a standard two-tone exterior paint scheme. 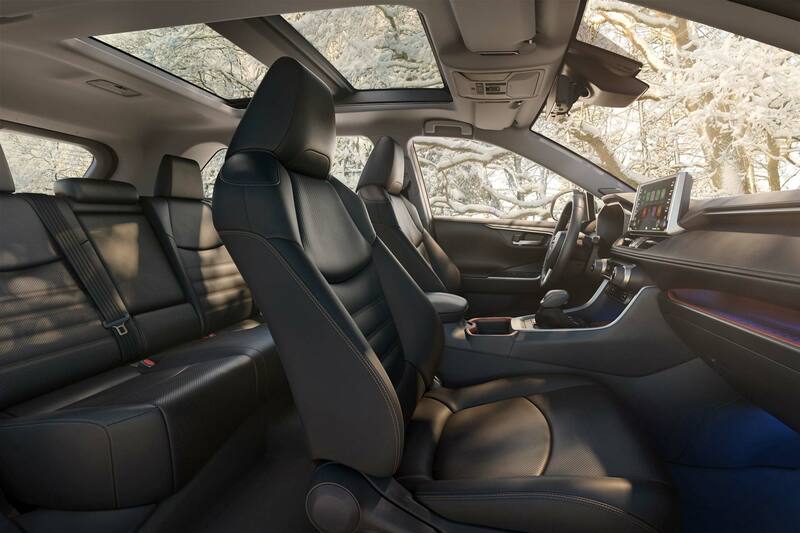 The black roof is paired with either Blizzard Pearl, Silver Sky Metallic, Magnetic Gray Metallic, or Blueprint (a new color to the palette). 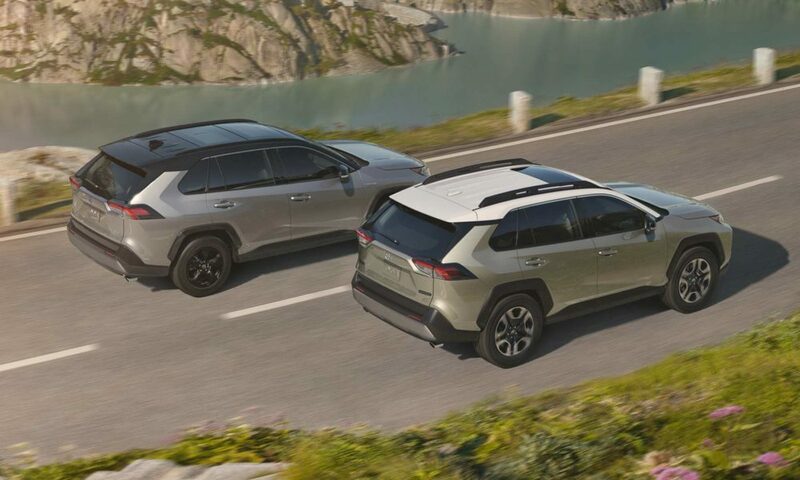 The Adventure grade can be had with an Ice Edge-colored roof that is paired with one of three exterior colors: Midnight Black Metallic or Blue Flame, both of which are new for RAV4; or Lunar Rock, an all-new color to the Toyota lineup. Additional full-body color options include Super White and Ruby Flare Pearl. 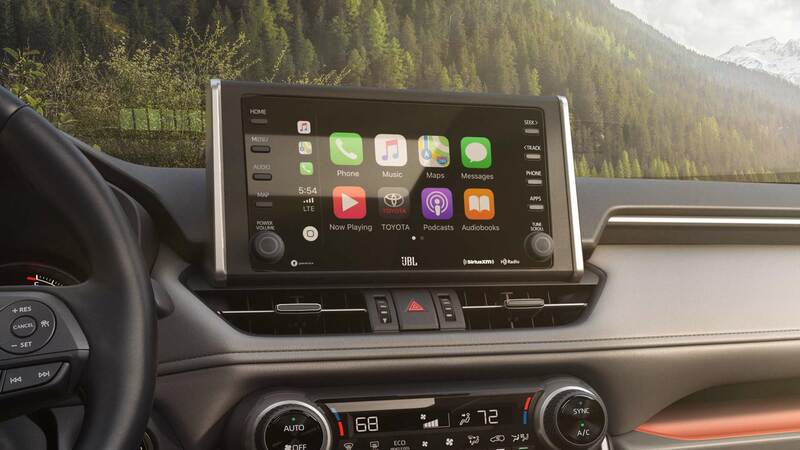 On the inside, equipment list includes a front-row moonroof, 8-way power-adjustable driver’s seat with memory and 2-way lumbar support, 7-inch Multi-Information Display (MID), 8-inch touchscreen, Apple CarPlay, Amazon Alexa, Sirius XM Radio, navigation, up to 5 USB ports, optional Qi wireless charging and JBL audio system. 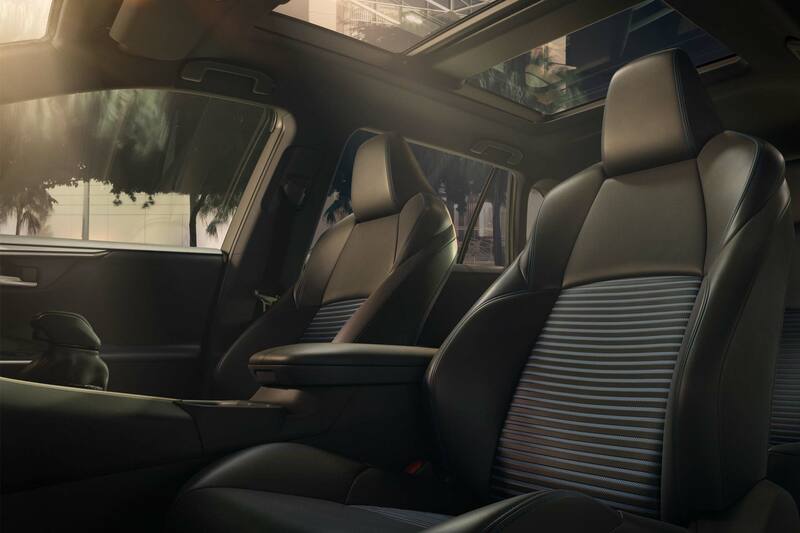 The XSE Hybrid’s exclusive interior comes mono-spec with black Softex material and blue accents throughout. 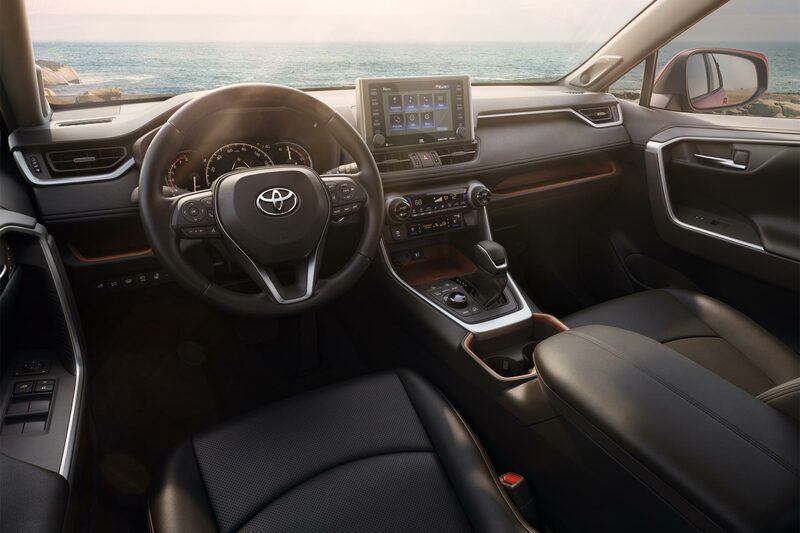 Adventure grade interiors come in either black or a grade-exclusive Mocha-colored Softex, with the latter being a brand-new interior finish in the Toyota lineup. 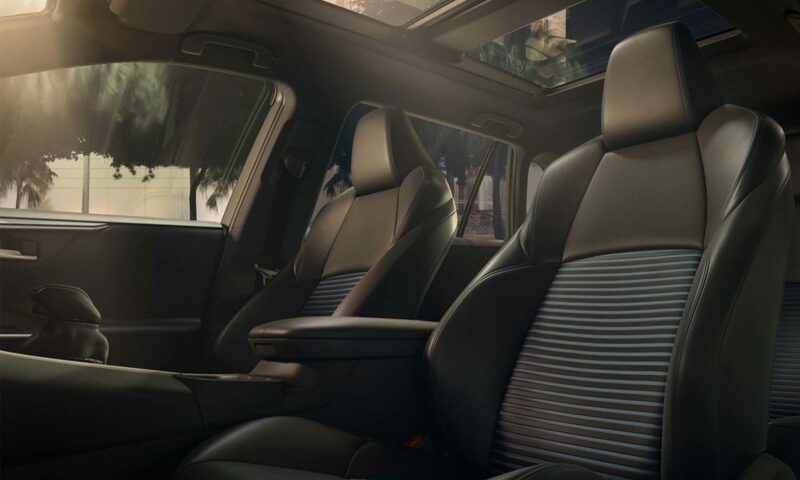 Other tasteful appointments include contrast orange stitching with additional orange accents. 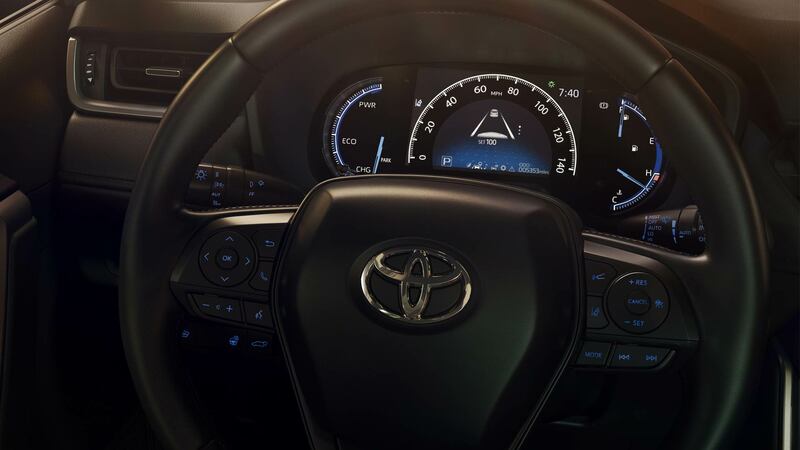 For the first time in a Toyota vehicle in North America, there is a Digital Display Rearview Mirror. 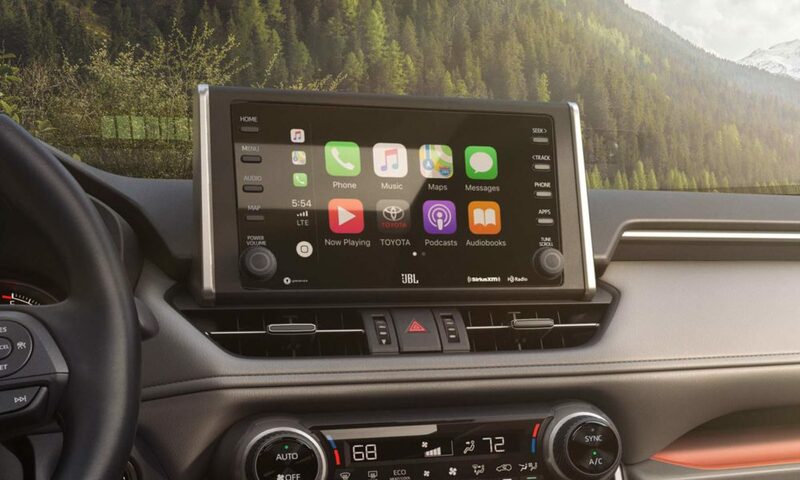 By default, the display is a conventional rear view mirror but with the flip of a switch, drivers have an increased field of vision, thanks to a high-mounted, adjustable wide-angle, HD camera on the rear of vehicle. 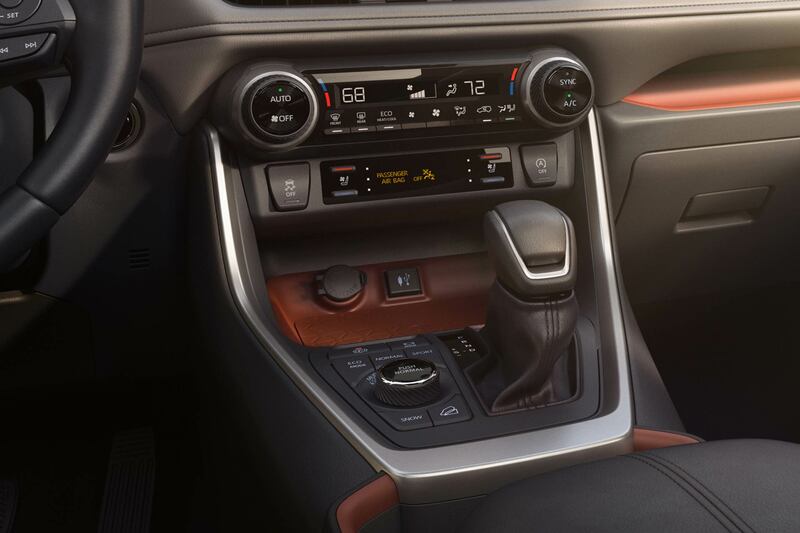 Few more options include ventilated front seats, heated rear seats, panoramic moonroof, and a hands-free power tail gate that opens by waving the foot below the rear bumper. 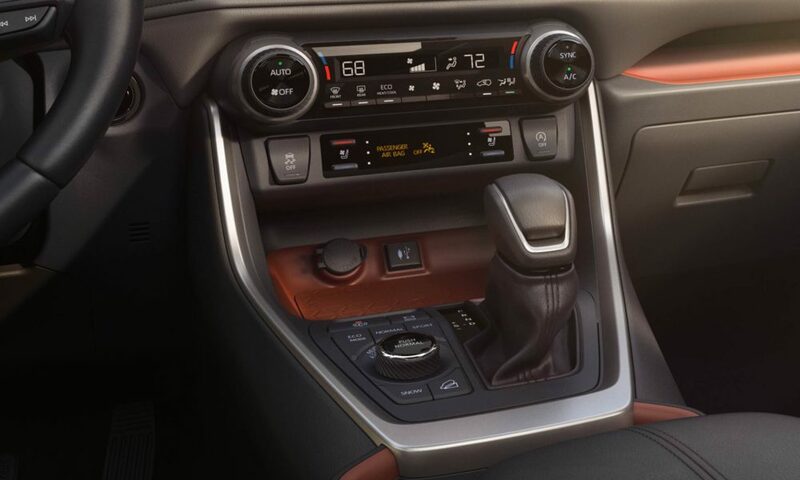 2.5-liter inline 4-cylinder Dynamic Force engine with VVT-iE mated to an 8-speed Direct-Shift Automatic Transmission, which powers the five gas models. 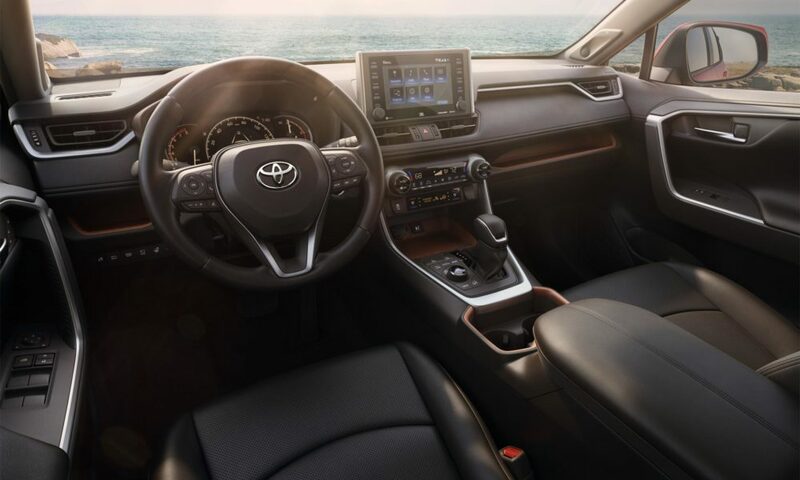 2.5-liter inline 4-cylinder Dynamic Force engine with Toyota Hybrid System II (THS II) paired to an Electronically-Controlled Continuously-Variable Transmission (ECVT), powering the four hybrid models. 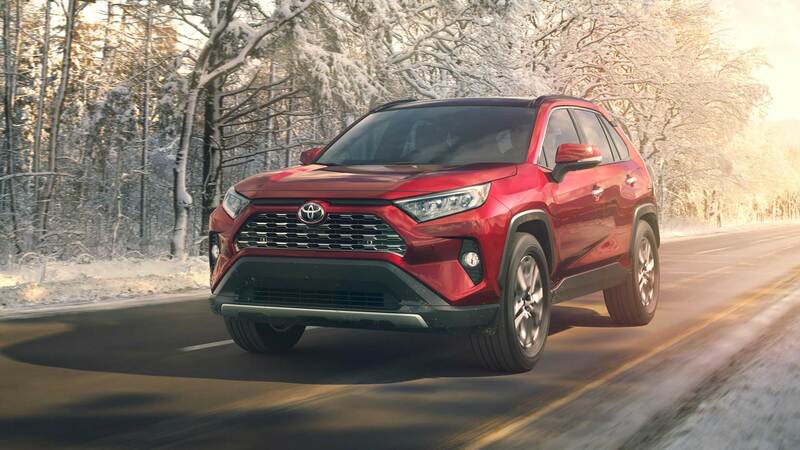 The new RAV4 features Dynamic Torque Vectoring All-Wheel Drive that can send 50 percent of the engine torque to the rear wheels, plus distribute it to the left or right rear wheel for improved handling. 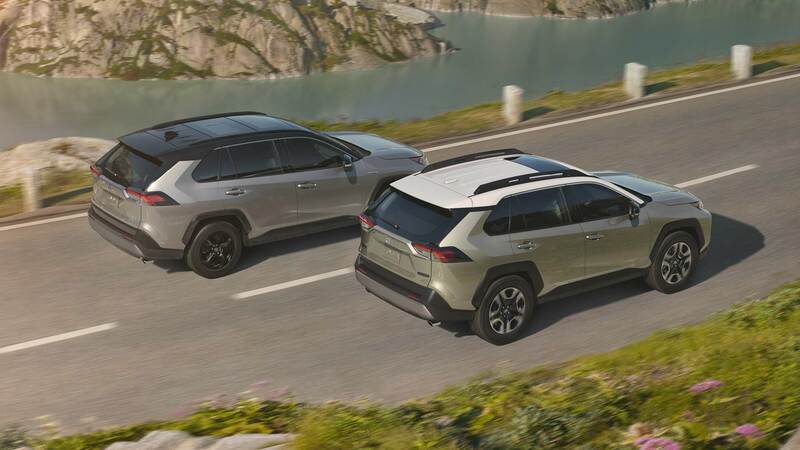 When AWD isn’t required (on long stretches of highway, for example), RAV4 can achieve better fuel economy thanks to the Rear Driveline Disconnect system. The disconnection features a ratchet-type dog clutches, claimed to be the world’s first, on both the front and rear wheel shafts. 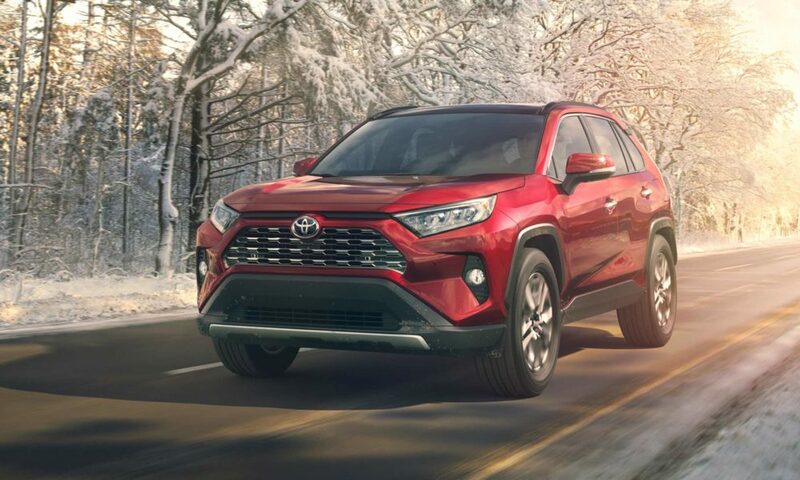 These clutches stop the driveshaft’s rotations, thus transmitting the driving force to the front wheels when AWD isn’t required, significantly reducing energy loss, improving fuel efficiency, and reducing rotational vibration making for a smoother ride. 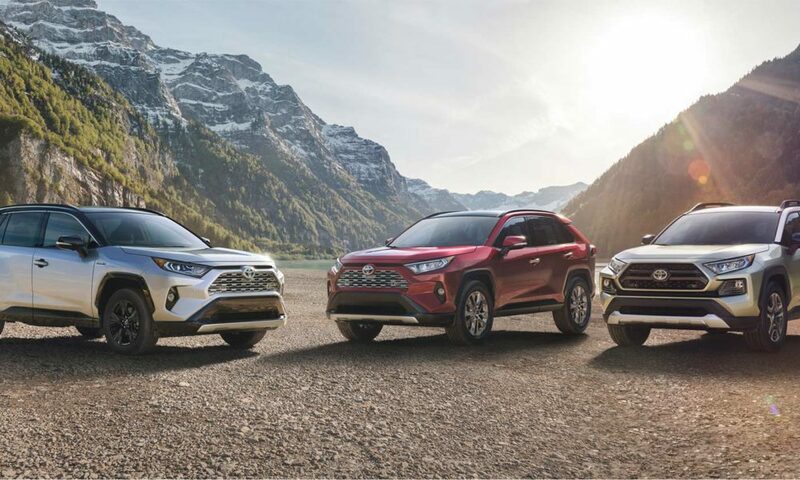 The Hybrid models get a new All-Wheel Drive with Intelligence (AWD-i) which increases the total torque to the rear wheels by 30 percent compared to the current generation AWD-i system, by adopting a new control system that optimally distributes torque to the rear wheels based on the driving conditions. 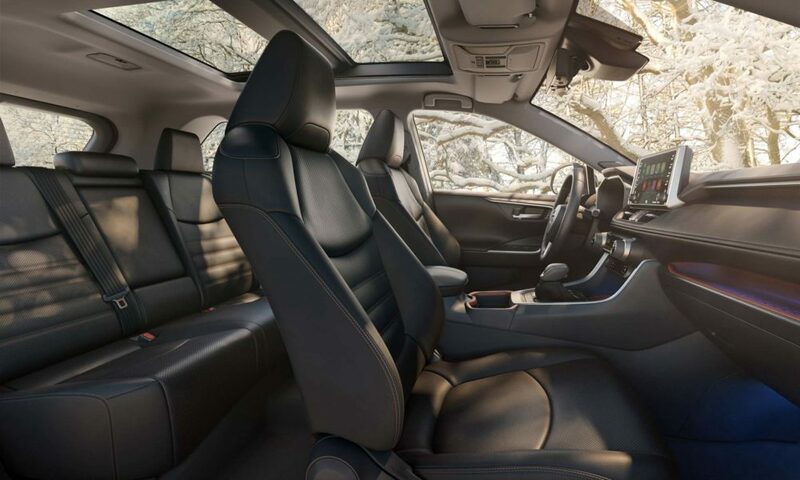 The sporty XSE variant gets a sport-tuned suspension.